Princess Cruises has big plans for Australia in 2015. One of the major additions to their fleet down under is the Golden Princess. She will begin cruising from Melbourne in November 2015 and is slated to be the only ship sailing from Melbourne during the 2015-2016 summer season. At 108,000 tonnes, Golden Princess will be the largest ship ever based in Melbourne. She will have a five month summer cruising season. Passengers can take 15 different round trips to nearby destinations including New Zealand, Tasmania, and the South Pacific. Golden Princess has space for 2,600 guests on board. Notable features on Golden Princess include private balconies in more than half of the 1318 staterooms and10 unique restaurants and cafes. 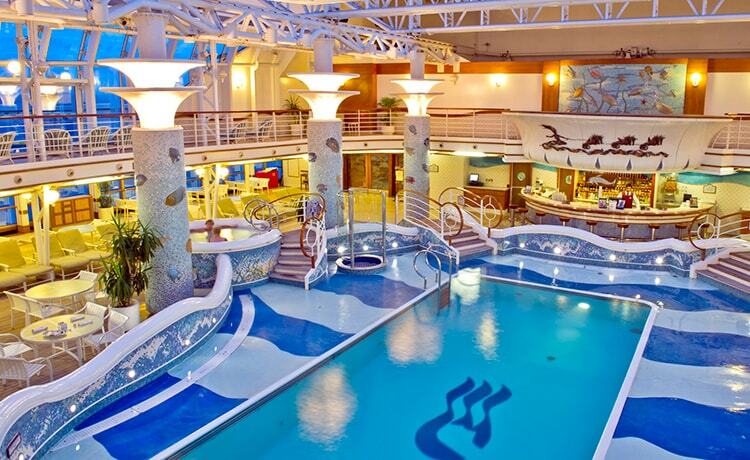 She has an onboard spa and four swimming pools for passengers who are seeking out some extra rest and relaxation. Activity lovers will enjoy the plentiful sports centres, with jogging tracks, shuffleboard, yoga classes, and a nine-hole putting course. There are numerous designer boutiques with duty-free shopping for the fashionistas. 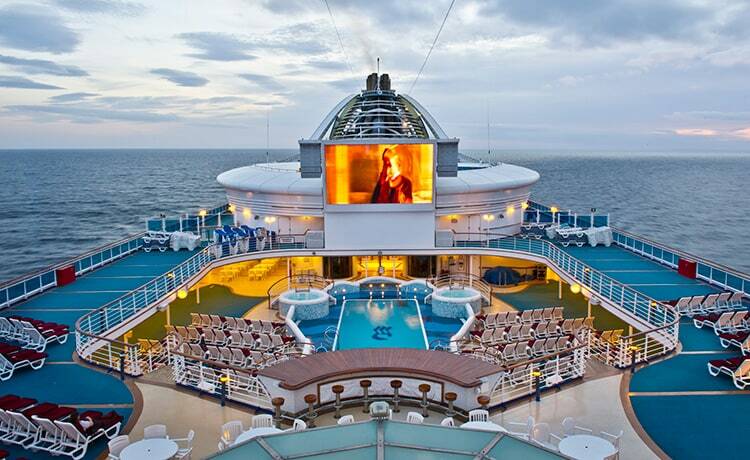 At night, passengers can enjoy movies, lounges, casinos, and an outdoor theatre. Passengers who prefer to dance the night away should head upstairs to the moving walkway above the decks. This prominent walkway leads to the signature Skywalker Nightclub, a glorious dance floor suspended near the rear of the ship. Golden Princess is also a good family cruise ship, with plenty of youth and teen centres on board. Kids can enjoy fun activities like video games, foosball tables, karaoke, a splash pool, and board games as their parents relax. The deployment of Golden Princess is part of the Golden Anniversary program of 2015-2016. Princess Cruises will double its presence in Western Australia due to increased demand. Stuart Allison, VP for the Australia and New Zealand region, stated that Golden Princess adds a 23% increase in Princess Cruises’ regional cruising capacity. During the 2015 cruising season, Princess Cruises will base five out of their eighteen ships in Australia. This fleet line up makes Australia Princess Cruises’ largest market outside of the United States. 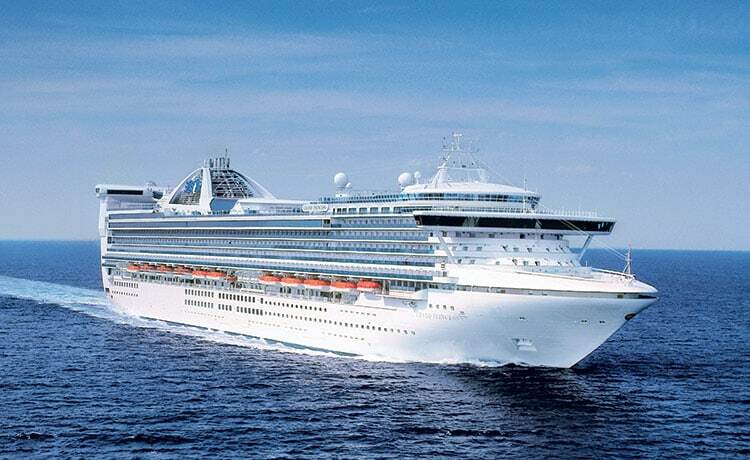 In 2015-2016, Princess Cruises will deliver 80+ cruises from Melbourne, Sydney, Brisbane, Fremantle and Auckland. Princess Cruises is now Australia’s biggest cruise line. Australians spend more nights on board these liners than on any other cruise company’s ships. Over the years, increasing demand from Australian passengers led Princess to design new cruise packages and services. For the first time ever in 2015, all Princess ships will conveniently offer pricing in Australian dollars. Golden Princess’s sister ships down under are Diamond Princess, Dawn Princess, Sun Princess, and Sea Princess. At 116,000 tonnes, Diamond is another huge ship with space for 2700 passengers on board. Her home base will be in Sydney. Dawn, Sun, and Sea Princess will all offer Australian cruises year round with homeports in Australia’s other major cities. The Golden Princess is the largest cruise ship ever based in Melbourne and the only one based there during the summer. Yet she still has foreseeable competition from Royal Caribbean. In November 2015, approximately the same time as Golden Princess makes her way to Melbourne, Royal Caribbean will launch new cruises from Sydney on Explorer of the Seas. Explorer is known for her futuristic entertainment and amenities. She will be considerably larger than Golden Princess, with room for 3,800 guests on board. It’s lucky for Princess Cruises that these two ships aren’t going head-to-head. Princess has the largest number of Australian passengers at present, but only time will tell if guests are wooed away by the fantastical Explorer.